Let’s start Monday off with melodious music and super chill feels. Watch out - Khalil is one to look out for. In anticipation of an EP set to release by the end of this year (Long Way from the 916), the 20-year-old Cali-based vocalist shared a preview of what’s to come with new single "Future". 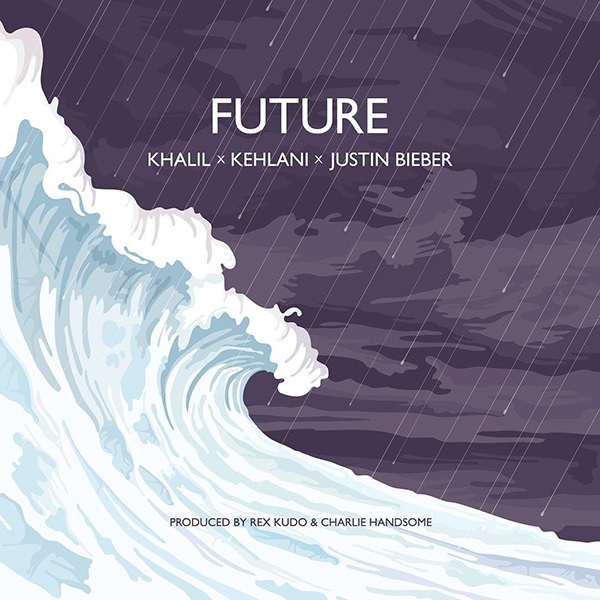 Accompanying the sound of silky R&B vocals from Khalil, the track brings a vibey R&B instrumental with support from two other remarkably talented singers - Justin Bieber and Kehlani. Needless to say, this trifecta is an absolute YES. The single art is filled with cool colors and stormy vibes that make you feel like you’re on a rainy beach in the morning. You can literally smell the dew in the air. Lyrically, the trio speaks on topics of losing a love and not knowing what is to come. Future resonates with those that are in limbo with a change in relationship and are really trying to feel something - you could definitely vibe with this track.